Somewhere, in the cosmic region that lies along the border of psychedelic music and garage rock — a border where crossings are frequent and uncontrollable — lives a trio known as The Night Beats, who just released their second studio album, Sonic Bloom. Actually they’re from Seattle, but two of the three members — singer and guitarist Danny Lee Blackwell and drummer James Traeger — are originally from Texas. I’d like to think they were raised on a steady musical diet of The 13th Floor Elevators, those psychedelic pioneers originally from Texas. That influence is definitely there. Psychedelia is the band’s bread and butter. This is a good time in rock ’n’ roll for musical journeys to the center of the mind. The Night Beats are part of a movement that includes bands like The Black Angels, a Texas crew considered the premier lysergic rangers of this era (Blackwell is part of a trippy side band, The UFO Club, with Christian Bland of The Black Angels), and Holy Wave, a band from El Paso. The epicenter of this musical phenomenon is the capital of Texas, home of the Austin Psych Fest, which for the past six years has showcased such groups, old and new. 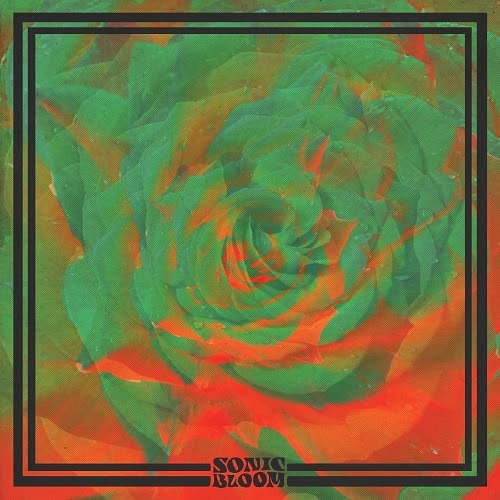 (The festival started a record label, The Reverberation Appreciation Society, which released Sonic Bloom.) The sound of these newer psychedelic cowboys is different from that of the jam-band movement that sprang up in the 1990s. For one thing, there’s more debt owed to Roky Erickson than Jerry Garcia. And there’s more of a footing in punk rock. 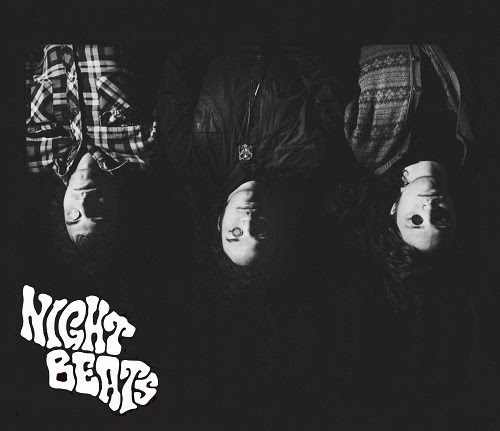 But listening to this album, I’m realizing The Night Beats’ sound has several discernible DNA strands in addition to psychedelia. I’m hearing bits of T. Rex (there’s some Marc Bolan in Blackwell’s vocals) as well as The Velvet Underground. And yes, there are echoes of 1960s soul music. After all, the band is named after a classic Sam Cooke album (though, truthfully, The Night Beats don’t sound much like Cooke). The first song on the album, “Love Ain’t Strange,” starts out with a discordant guitar attack reminiscent of the avant-garde ’90s group Thinking Fellers Union Local 282. But it only lasts a few seconds. Tarek Wegner’s bass starts throbbing, and the band settles into a more laid-back groove that’s just short of funky. The title song is heavy on Electric Prunes-style reverb, while the melody of “Playing Dead” may remind you of a snazzier version of The 13th Floor Elevators’ “Earthquake.” The “Louie Louie” chords of “Real Change” expose the group’s garage roots, as does the nasty “Tobacco Road” guitar on “As You Want.” Mean- while, “Satisfy Your Mind,” with its slide guitar and tinkling piano, is a nod to boozy blues rock. For the most part, The Night Beats seem intent on avoiding overt hippie-dippy, love-bead nostalgia. But there’s one big exception on Sonic Bloom. You can almost imagine the band turning on the black lights and lava lamps for “Catch a Ride to Sonic Bloom,” a five-minute saga that starts off slow and droning (with a sitar) but speeds up a little and starts getting a little more interesting about two minutes into the song. Toward the end it slows down again into feedback rumble, with what sounds like an autoharp, a music box, a ticking clock, and the return of the sitar. The very next song, “The Seven Poison Wonders,” is a much better use of five minutes. Hey, fellow old-timers, listen to the funky chords of this tune and try not to think of “Plastic Fantastic Lover” by Jefferson Airplane or The Beatles’ “Taxman.” I’m not sure whether Blackwell is doing all the guitars here — it sounds like he’s having a duel with himself. Another one of the best songs is “Rat King,” the shortest track on the album — two minutes, 13 seconds packed full of raunchy, squalling guitar. The album ends with a seven-minute epic, “The New World.” The Night Beats stretch out here and, once again, Blackwell’s guitar impresses without being overly flashy. But it goes on too long for no apparent reason. 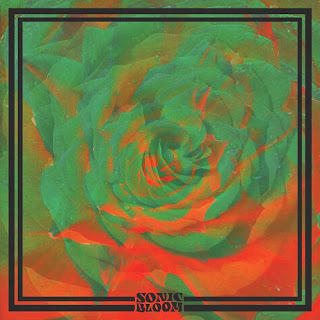 All in all, the shorter songs on Sonic Bloom pack way more punch. 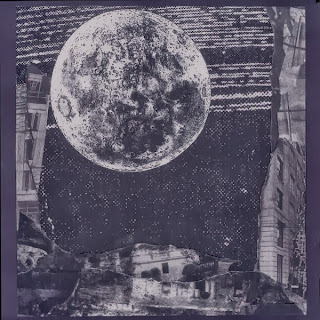 * Moon Sick by Thee Oh Sees. Back in May, I declared Thee Oh Sees’ Floating Coffin as my likely choice for album of the year. Months have passed, and I still feel that way. And yippee! They’re playing in Albuquerque Sunday. This four-song EP consists of outtakes from the sessions for Floating Coffin. “Born in a Graveyard” starts off with a beeping computer right out of Wall of Voodoo’s “Mexican Radio.” It sounds as if there might be some sort of anthem buried inside, though I can’t make out the lyrics. “Sewer Fire” is one of the band’s harder-edged tunes. But most impressive is “Humans Be Swayed,” which starts off with slow droning, then bursts into a frantic, choppy rocker. These three songs would have fit in fine on Floating Coffin. Then there’s the last song, “Candy Clocks.” It isn’t bad. It’s basically an airy-fairy folk-rock tune — maybe a folk-rock parody — with what sounds like a harpsichord and a “la-la-la” refrain. While I’m not crazy about “Candy Clocks,” I continue to be amazed and infatuated by Thee Oh Sees. Thee Oh Sees' Launch Pad show is at 7 p.m. Sunday, Nov. 10, at The Launchpad (618 Central Ave. S.W., 505-764-8887; $12 for the 21-and-over show). And hey kids, there's lots of Oh Sees recordings, both live and studio, are available at The Free Music Archive.